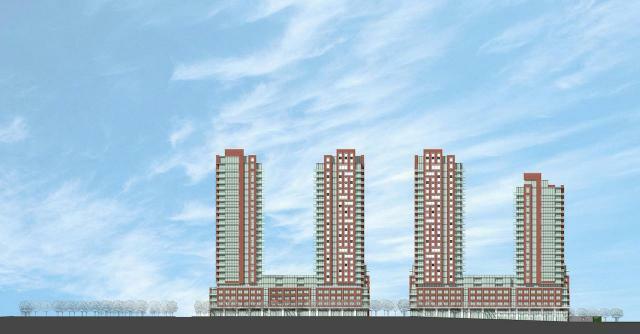 4000 Eglinton is a proposal from Lanterra Developments to permit a mixed-use development consisting of three 25-storey towers, a single 21-storey tower, and four-storey towns. The primarily residential development would also contain commercial/retail space at ground level. Design is by the IBI Group.